The Galería Javier López, in collaboration with the Galería Mario Sequeira, is pleased to announce an exhibition of a selection of works by Nan Goldin (b. Washington DC, 1953). One of the most distinguished photographers working today, she has reinvigorated the genre of documentary photography and created one of the most influential narrative discourses of recent decades. The family upheaval caused by her sister’s suicide in 1965 set the tone for the start of her professional career at the age of 16 and she received the recognition of her first solo exhibition in 1973 in Cambridge, Massachusetts. After a spell in Boston, she established herself definitively in New York, where she became the most important photographer of the 80s and 90s. A large part of Nan Goldin’s work deals with herself, her friends and her lovers. Over the last thirty years she has been creating what she calls her “intimate visual diary”: “These were the people I lived with, these were my friends, these were my family, this was myself.... There was no separation between me and what I was photographing”. Her recurrent themes are life, sexuality and death, but seen from a distinctly autobiographical point of view. Far from any form of voyeurism and disavowing artistic intent, Goldin seeks “to obsessively record every detail” of her life, which is remarkable for her complicity and involvement with a world peopled by punks, gays, lesbians, drag queens, prostitutes, drug addicts and alcoholics. She lives in this world herself and in some ways portrays a generation adrift between desire and failure, relationships both open and intense, with a constant division of roles that goes to the limit of what can be photographed about the human condition, erasing the borders between public and private. Looking at Goldin’s photographs, we are seeing her, surrounded by her people and their shared spaces, so that we share the subjects’ privacy, an intimacy that is underlined by the photographs’ titles, which always include names, places and dates. With the years her work has become calmer, more contemplative and evocative. Eschewing any technical or formal sophistication, her work is inextricably linked to her personal life. The rawness and force of her images lies precisely in this disregard for aesthetic rules. 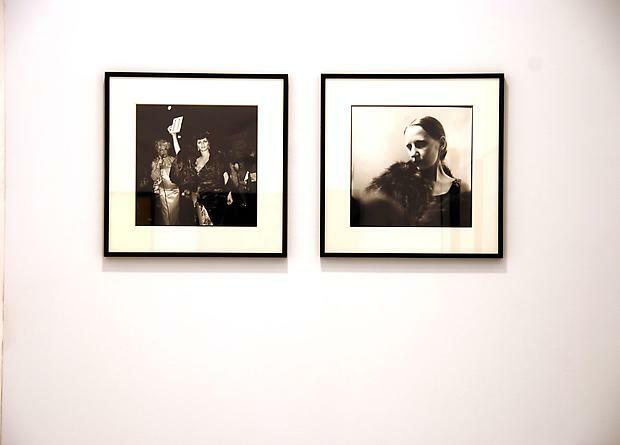 For Goldin, “taking a picture is a way of touching somebody, it’s a caress”. This also explains her preference for series works: “I believe only in the accumulation of portraits as a representation of a person”. 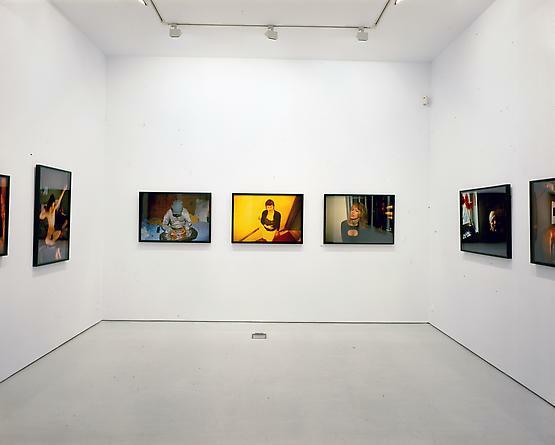 To emphasize the narrative effect, Goldin presents her images in the form of “a film in stills”, a slide show accompanied by music, as in the case of “The Ballad of Sexual Dependency” (1981–1986) or the BBC film “I’ll Be Your Mirror” (1995). Her work is, at first glance, a harsh and cold visual slap in the face, which resists a “classical” approach, and is better understood as an escape forwards, without rules or styles, without prejudices, and as the only possibility of survival: “My work does come from the snapshot. It is the form of photography that is most defined by love”. Nan Goldin graduated from the School of the Museum of Fine Arts, Boston, in 1978. In 1987 she received the Book Prize at the Rencontres d’Arles, and in 2007 the International Prize of the Hasselbad Foundation for her body of work. 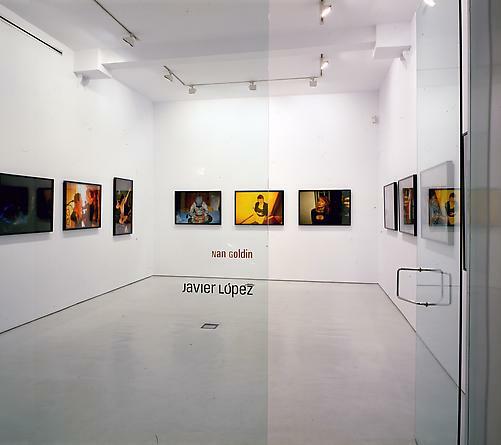 Of her more recent exhibitions, highlights include those at the Centre Pompidou (2001), at the Museo Nacional Centro de Arte Reina Sofia (2001), at the Whitechapel Gallery (2001), at the Houston Museum of Fine Arts (2007), at De Hallen, Haarlem (2008) and at the New Orleans Museum of Art (2009).